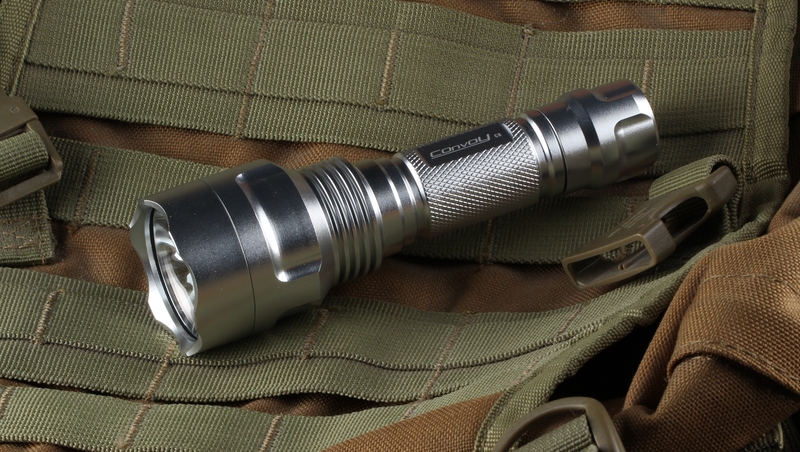 A while back Simon and I had a conversation about the Convoy C8. It’s an older design as we all know. Most of us here on BLF have owned one (or several) for years. 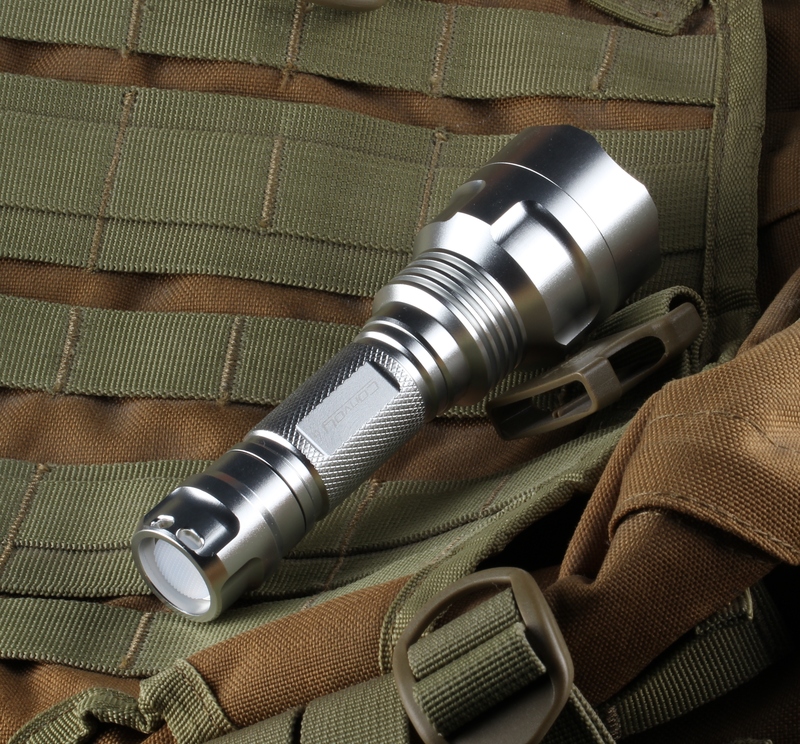 It’s very mod friendly and a great compact thrower in the tried and true single 18650 format favored by so many. From the start Convoy has in my opinion been making one of the best versions of the C8 that money can buy. Still, I thought the C8 could use a bit of a makeover to bring it some new life. With that new life of course… it must have a new look. That’s where clear anodizing comes in. This essentially brings the look of bare aluminum with the benefits of anodizing. 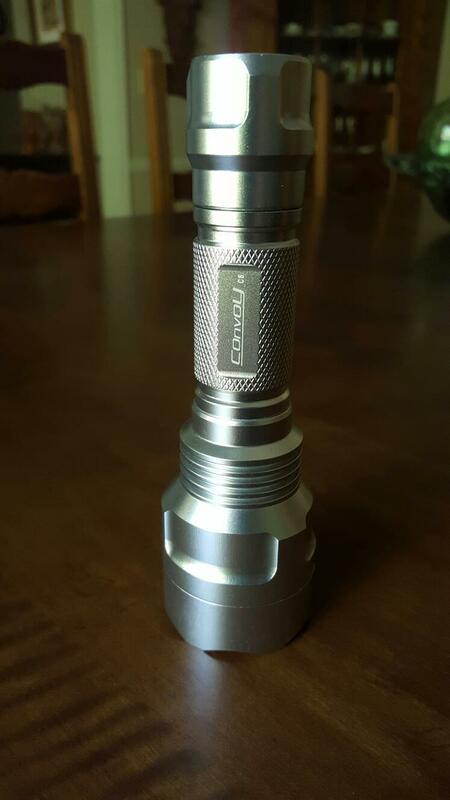 If you’ve seen pictures of the new clear anodized L6 you have an idea what to expect. The clear anodizing is beautiful in my opinion, but why not go a couple steps further? AR coated glass comes standard. 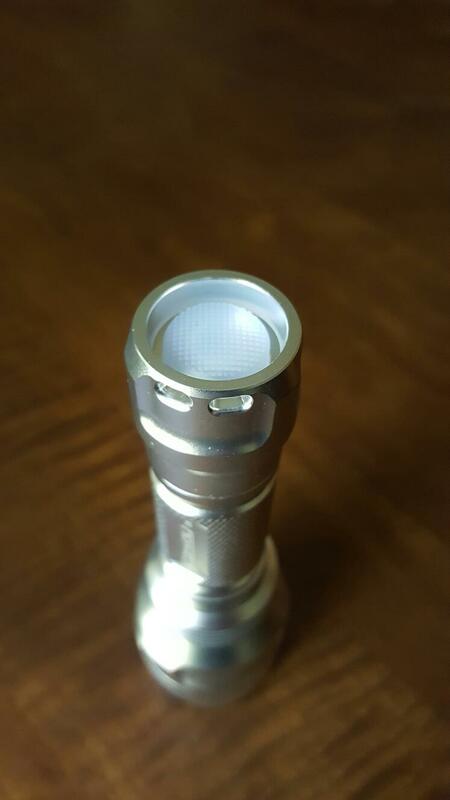 A Cree XPL-HI emitter in your choice of tint is standard. A DTP copper MCPCB for the XPL-HI to rest on comes standard. Several months ago I asked a programmer friend what we could do to improve the main line of Convoy drivers without a big cost increase. I mentioned what my goals were and we went back and forth on the details. I am quite happy with the end result. I think you will be too. Who is this programmer you ask? Why that would be our very own ToyKeeper of course. A total of 12 user selectable mode groups. 2 Low power/low heat modes that max out at 50% output. 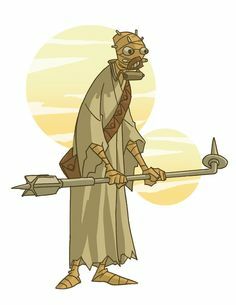 A small cost increase of around $3-4 is necessary to cover all these upgrades. 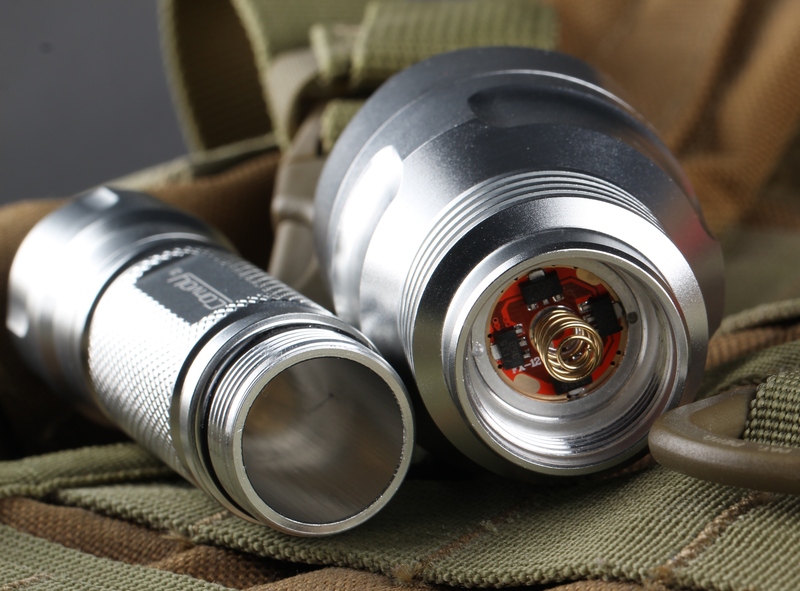 Note: Simon will give BLF members the same 15% discount he does on most Convoy flashlights. All you have to do is ask him through the Aliexpress message system when placing your order to adjust the price for BLF 15% discount. The clear C8 is available now in the Convoy store! Simon created a nice diagram for the UI too. That will be added to post #2 along with the driver details. I added a note about the 15% BLF discount above and updated post #2 for clarification. Some mode groups have blinky modes. They are not hidden, but if you leave mode memory off you can skip them with a long press which returns you to the first setting in your selected mode group. Battery check works by a number of blinks to represent battery voltage. In config mode you have 2 options. It will blink to show which option is active, then “flicker” for a few seconds. Tap the switch during the “flicker” that follows the desired number of blink to select that configuration option. 1 blink = Mode group selection. Option 1. Mode group selection: This is accessed in config mode after tapping during the “flicker” following 1 blink. The light will now come on in a special group-select mode. The light will start counting out sets of blinks from 1 to 12 blinks with a pause between each set of blinks, then pause and repeat or “loop”. Turn the light off after the number of blinks that represents the mode group you want to enable. Example: To select group 5 , let it blink five times, then fully click the switch button during the pause after the fifth blink. 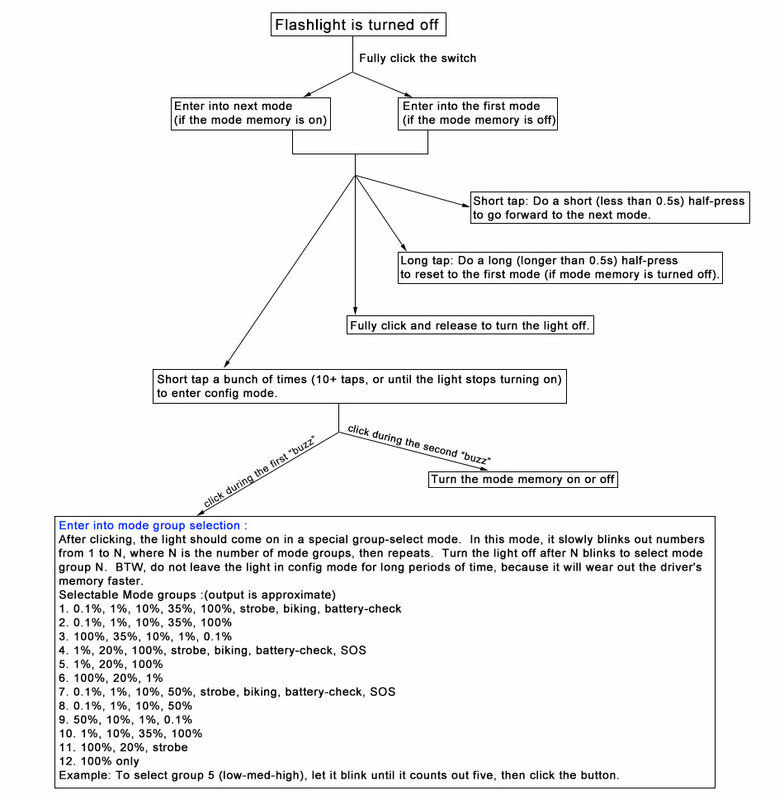 Caution: Do not leave the light in the mode group selection loop for long periods of time. Doing so can cause unnecessary wear on the driver’s memory and may lead to driver malfunction. Option 2. Mode memory toggle: This is accessed in config mode after tapping during the “flicker” following 2 blinks. Mode memory is turned off by default. Tap during the “flicker” following 2 blinks to turn mode memory on or off. Looks nice though! Now where can I buy some of those isolation discs Simon is using there? silver is just not my cup of tea for lights… but that does not mean it doesn’t look cool! This is a great upgrade (or rather, group of upgrades)! Great job guys! What about Blue? Red? Green? 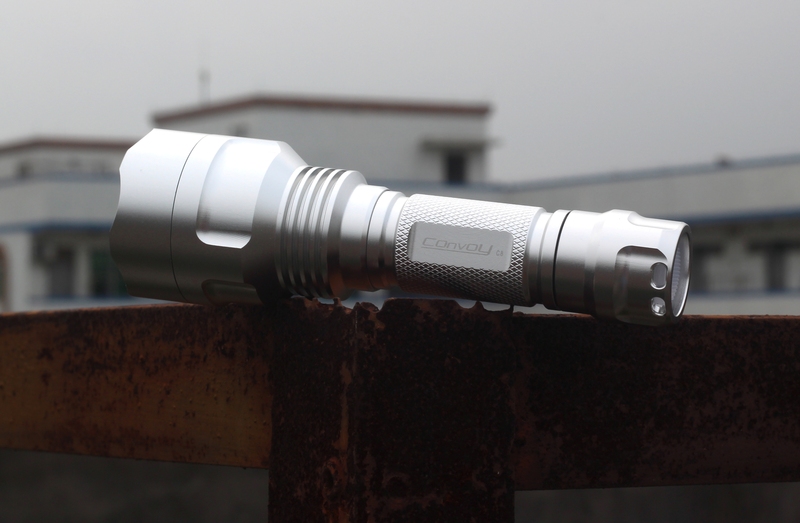 Convoy S2 colors would look great on this flashlight, I think (Well, maybe not the green, actually ). Edit: Oh yeah! Forgot grey! I forgot to mention that all my S2+ are actually grey – also an amazing color! 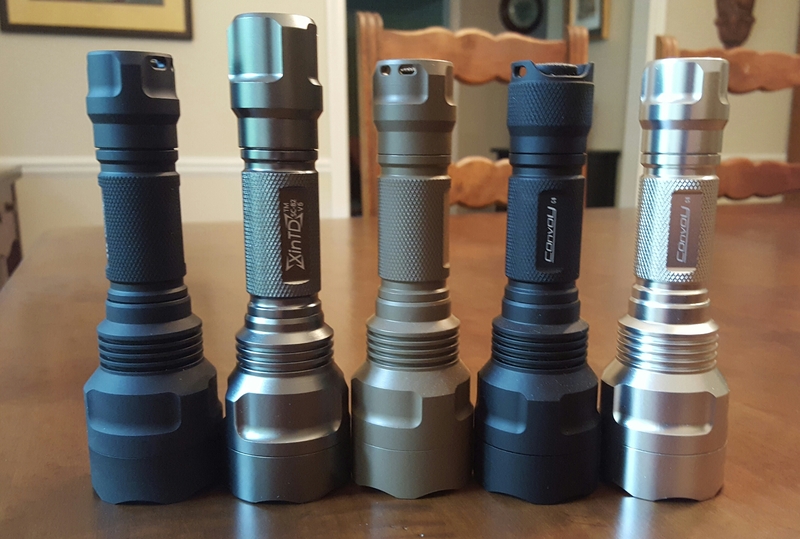 Guess I am no longer into black flashlights. I will have to get one of those! Really pretty and the driver sounds great! I hope the driver can be purchased by itself. Nice work with the driver! Great upgrade from feedback while still keeping costs low. That’s quite a bit of firmware for a attiny13 based driver. Nice job! The color is very good. Mostly because it will not show scratches and dings at all. It will look brand new after 20 years of use. That is why i like gray metals. The driver will evidently underdrive the led which is a pity. So my question is, will this driver be available with 4 more chips over the existing ones? Or at least will soldering 4-8 chips on top of the existing be a problem for this driver? Dude Simon’s had a grey C8 for a long time. Same color as the grey S2+. Where you been? I don’t know about the rest of the rainbow though. 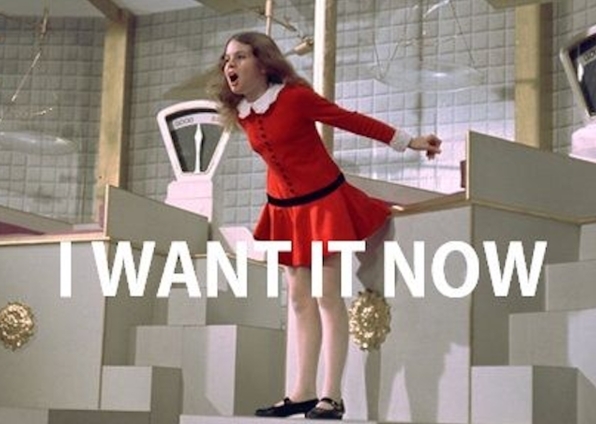 It’s not that hard to believe when you consider the one who wrote the firmware is our very own ToyKeeper! Glad I gave away a stock C8 recently so I have an excuse to replace it! The drivers will indeed be available for sale but not for a little while yet. As you’ll note in one of the pics the new driver board is red. We did this so there would be no mistakes in whether you have the new version with the new firmware or the older driver. I really like the red color. I’ll announce it when it’s available as a separate item. It may be a month or so. But MAN this looks so much better! Great work with the driver. Oh TK, Simon and J-Dub74 you did it, smashing so much lights by making this one, thanks! Thanks PD! That was my goal. ToyKeeper deserves all the thanks for bringing this one to life. I’m just an idea man. She tolerated my pestering for a long time on this one! I umm tend to talk a lot. Will it be possible to buy the parts to upgrade our existing C8s? I forgot about the gray C8. That’s nice! I don’t need a whole rainbow anyway, just give me a Blue one. Mine doesn’t have the upgraded driver, yet. I won the C8 through the OL auction that JDub arranged and Simon donated. Much to my surprise, here’s C8 clear ano #1. You got that right buddy! Are there other differences in the driver, besides new firmware? I was happy I could work that out for you buddy. You were quite generous in your bidding to help Old Lumens. 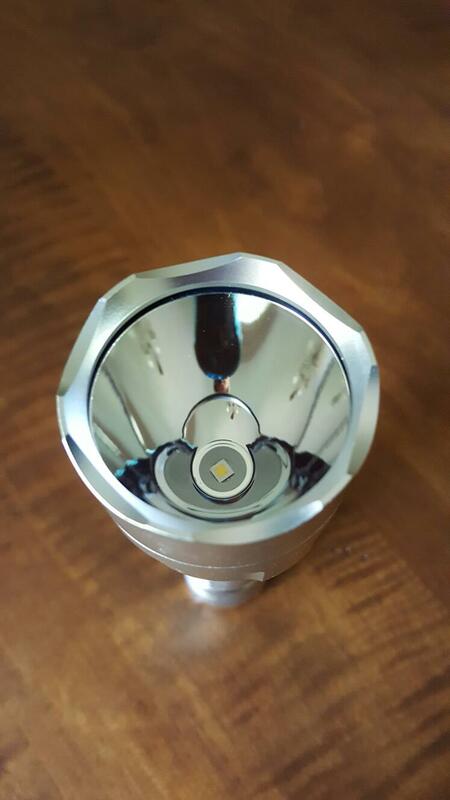 Simon was happy to help and was happy to use the new clear anodized C8 host to build your auction winning light. Thank you for keeping it quiet until I made the official post for the clear C8. 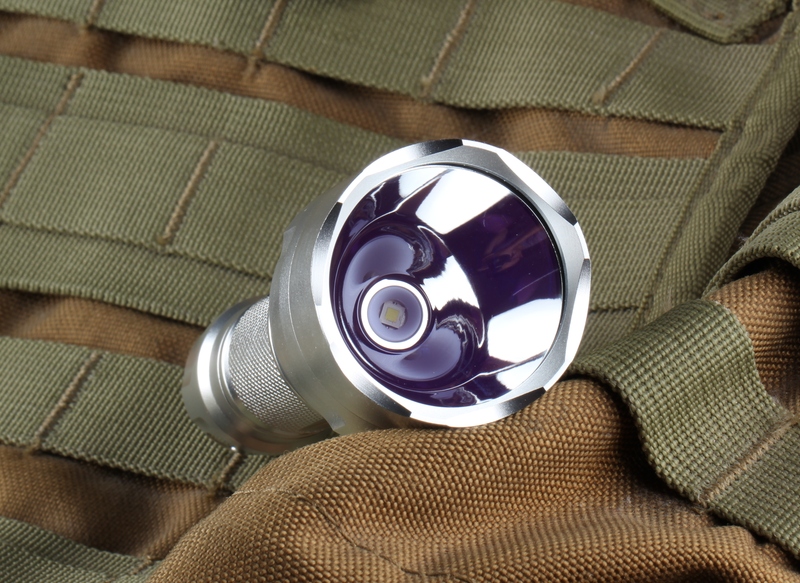 You know how crazy these BLF types can get when they see something new. I’ll buy them all, including the green one. And the clear one too, which really looks beautiful. It’s not only that I like colors, it’s also much easier to grab the right light when using the same host type for builds with different characteristics.